A selection of plenary and panel presentations is now available online. The accessible titles are written in green color. Pictures of the conference can be accessed, too. Please refer to the menu point Documentation. The 4th IEEE PES ISGT Europe 2013 will take place from October 6 to 9, 2013 in Copenhagen, Denmark. Please follow this link for more information. 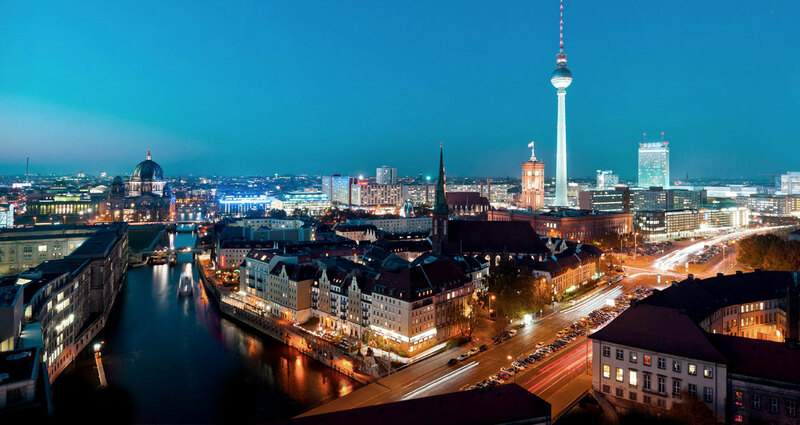 The third IEEE PES Innovative Smart Grid Technologies (ISGT) Europe Conference is hosted by Berlin University of Technology (TU Berlin) and sponsored by IEEE Power & Energy Society (PES). Participants from over 50 countries submitted more than 400 papers to the Technical Program Committee for review. IEEE PES ISGT Europe 2012 offers a rich technical program of paper sessions, panels, tutorials, and showcases by international experts on the smart grid. The organizing committee invites researchers, practitioners, decision makers and students, worldwide to participate and submit papers. On Sunday 14 October, students will get the opportunity to visit a Showcase Smart Grid on the European Energy Forum (EUREF) Campus. Furthermore, tutorials will be offered and a student poster presentation will take place. Please click here for more information. Four new tutorials on innovative grid technologies announced. Click here for more information. In the panel session, the European Smart Grid Coordination Group releases new recommendations on best practice and standards for Smart Grid Security. 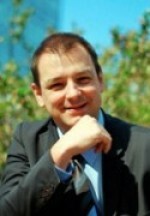 Laurent Schmitt (Alstom) will present a new end-to-end security framework jointly designed with Intel McAfee. The Cyber Security panel is organized by Boeing Professor Chen-Ching Liu (Washington State University). Further panelists are Giovanna Dondossola (Ricerca sul Sistema Energetico RSE Italy), Professor Göran Andersson (ETH Zurich), and Mathias Ekstedt (KTH Stockholm, Sweden). Click here for more information on panel sessions. Click here for a list of Featured Speakers and their presentation topics. Ms. Li participates in the Women in Engineering event of IEEE PES ISGT Europe 2012. Furthermore, she presents her visions on moving forward to a green smart grid. 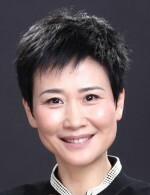 Ms. Li Xiaolin is Chairwoman of China Power International New Energy (CPINE). She has been ranked among the 25 most powerful businesspeople in Asia by Fortune magazine. The Linear project (Local Intelligent Networks and Energy Active Regions) aims at the introduction and implementation of smart grid technologies in the low voltage electricity grid in Flanders. In particular, valuable experience of practical interest is gained on active demand-side management of domestic loads. Ronnie Belmans is Full Professor at K.U. Leuven. He was chairman of the board of directors of ELIA, the Belgian transmission grid operator from June 2002 to May 2010. 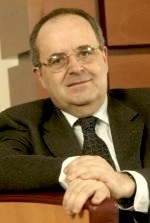 Since June 2010 he has been honorary Chairman of the board of directors of ELIA. He is co-founder of the K.U. Leuven Energy Institute and the European Energy Institute. He is co-founder and CEO of Energyville and also guest professor at Imperial College of Science, Medicine and Technology, London-UK. We gratefully acknowledge Alstom for sponsoring the conference website. Thank you very much for visiting our website and for your interest in IEEE PES ISGT Europe 2012. We are excited to host ISGT Europe in Berlin and to follow up on the excellent prior ISGT Europe conferences in Gothenburg 2010 and Manchester 2011. On this website, we want to provide you with in-depth information around the conference. Together, we strive to help making the IEEE PES ISGT Europe conference series a prime forum for addressing the central questions and solutions on smart grid technology. You find information on the topics in the “Essentials” and in the “Papers” sections of this website. In particular, we invite you to respond to our Call for Papers and share your contribution with the smart grid community. We offer opportunities for sponsorship and, thanks to a good deal of demand, also opportunities for exhibiting. This is discussed in the “Exhibitors/Sponsors” part. We will update the website regularly as preparations progress. This October, we have the famous Festival of Lights running in parallel with the conference, and 2012 is the 300th birthday anniversary of King Frederick II of Prussia. We share with you this unique Berlin flavor via our social program. We will provide relevant information in the “Program” section of this website. If you have questions that go beyond the website or would like to give us comments or suggestions, we look forward to hearing from you. Please use the “Contact” button on the top right to get in touch. The best, of course, would be to discuss in person – from 14 to 17 October 2012. See you at ISGT.